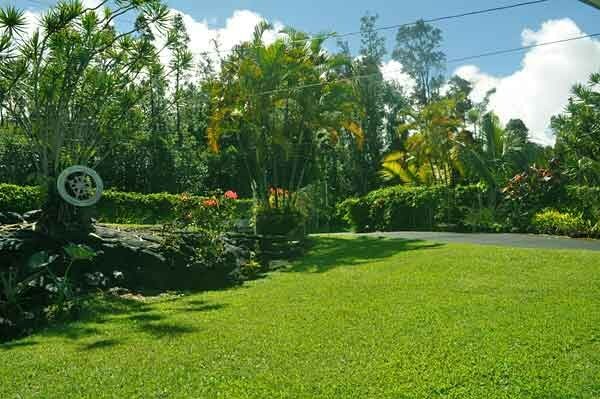 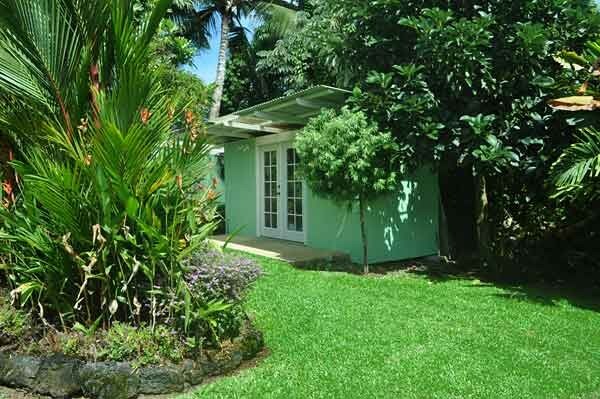 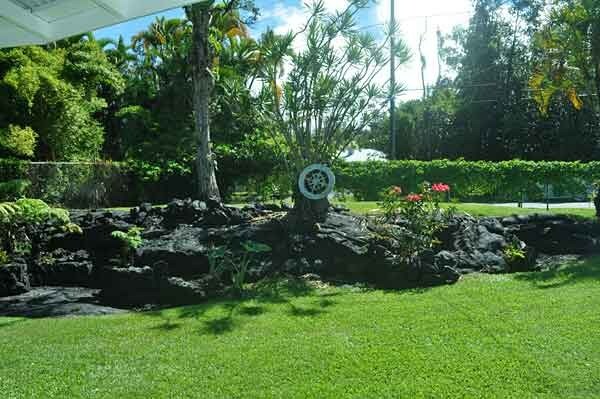 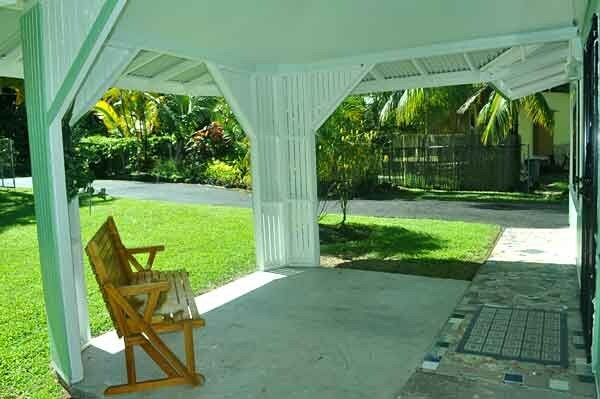 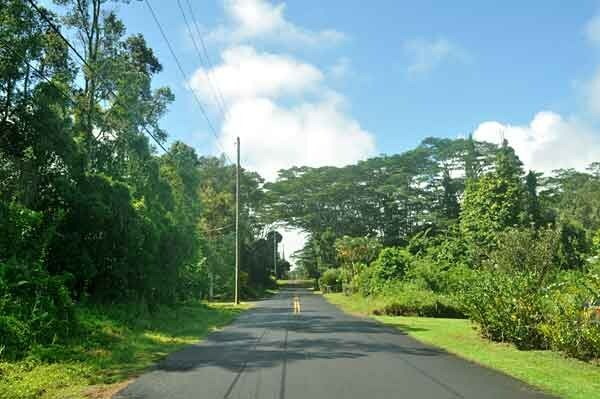 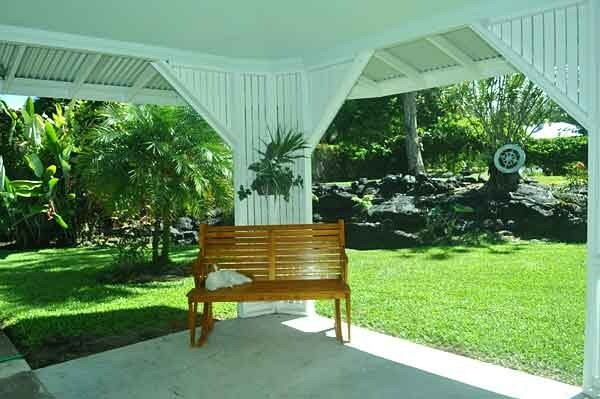 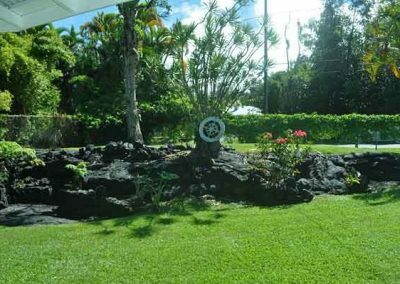 You will feel the amazing peacefulness that is Hawaii the minute you walk onto this property. 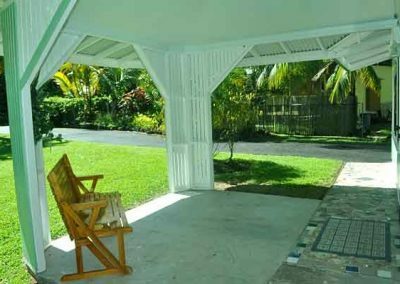 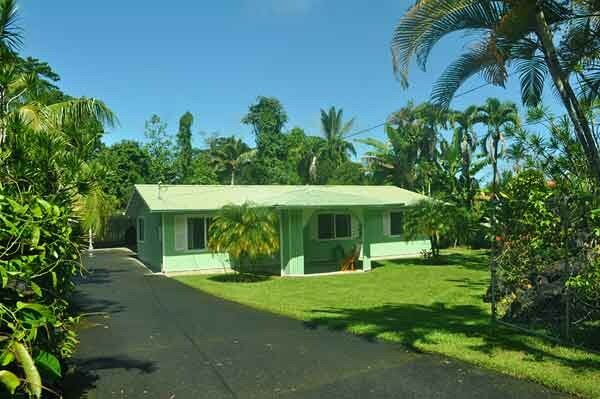 The owner has created a wonderfully comfortable island style home tucked into the center of a beautifully landscaped property. 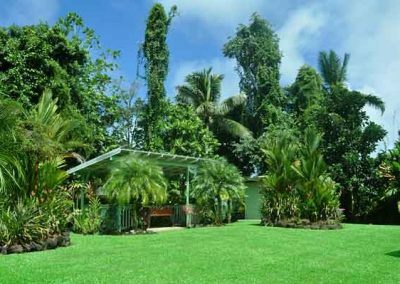 The home has a large central open living and dining area with views out to the tropically landscaped yard. 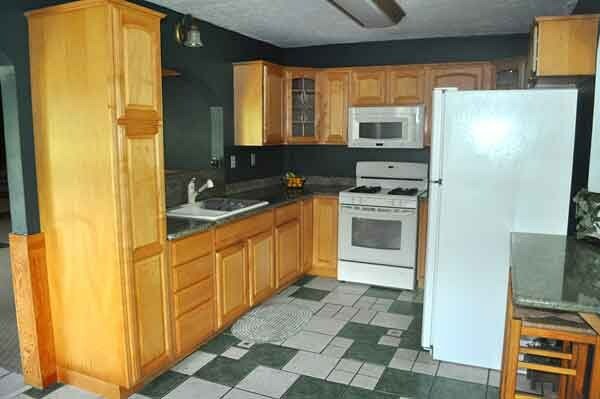 The remodeled kitchen has quality cabinets, high grade granite counter tops and a bar area which gives great accessibility to the living area. 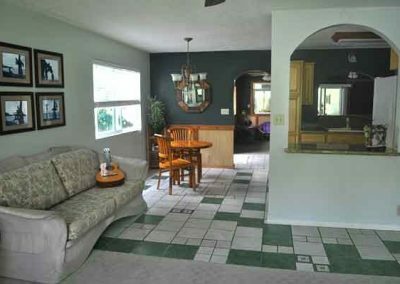 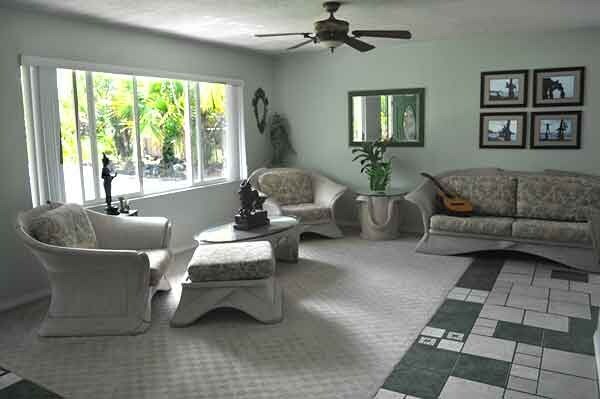 Beyond the kitchen is the large family room, that could also be used as a 4th bedroom or office, which is connected to the 500 square foot back lanai. 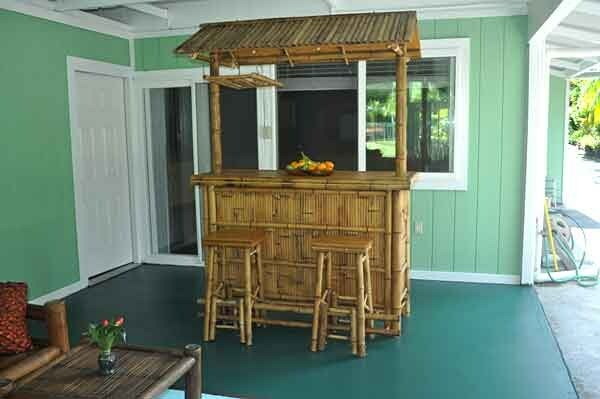 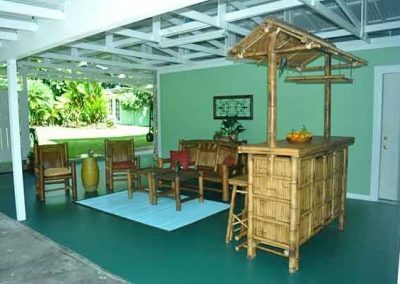 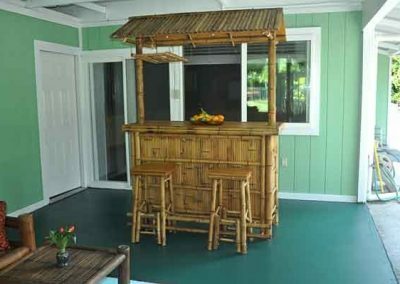 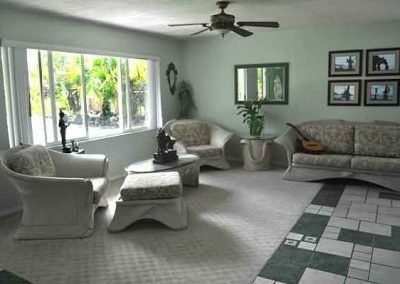 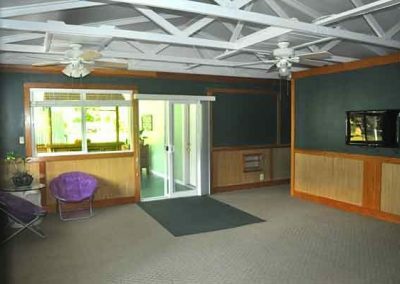 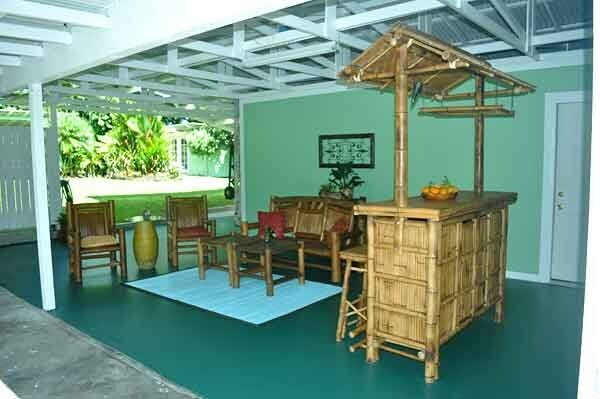 The combined family room/lanai area makes for a great space for family events, parties or for just relaxing and enjoying Hawaii. 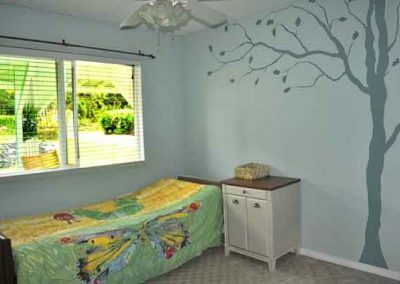 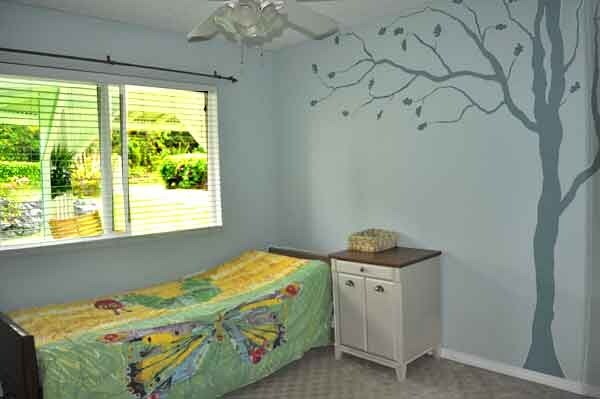 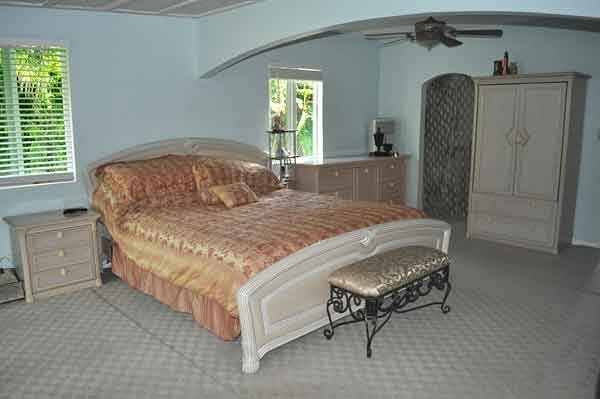 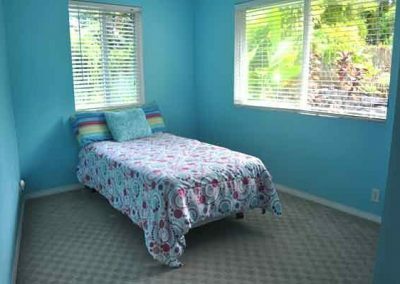 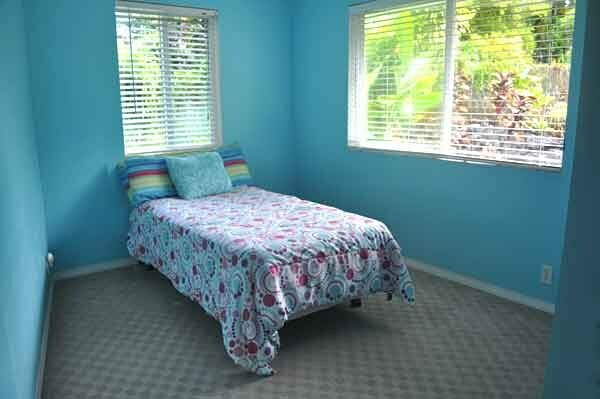 There is a large master bedroom, with a remodeled bathroom, and its own private lanai on the other side of the home. 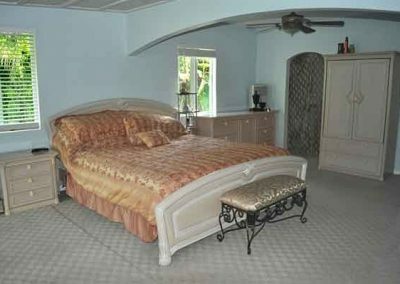 Two additional bedrooms, a laundry room, an office space along with another beautifully remodeled bathroom complete the indoor living areas. 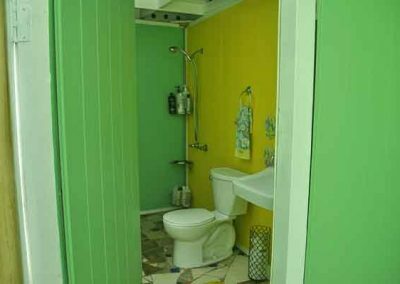 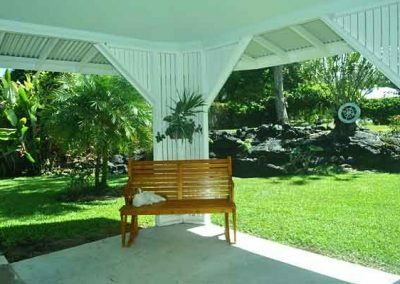 A true Hawaiian home has an outdoor shower and this home is no exceptions – however here you get a full outdoor bathroom! 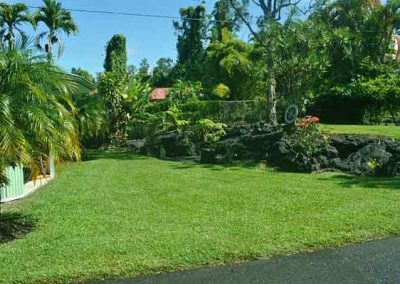 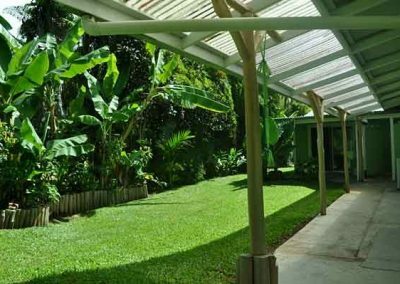 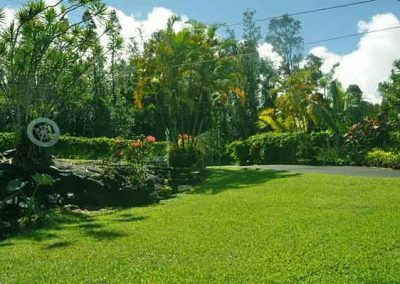 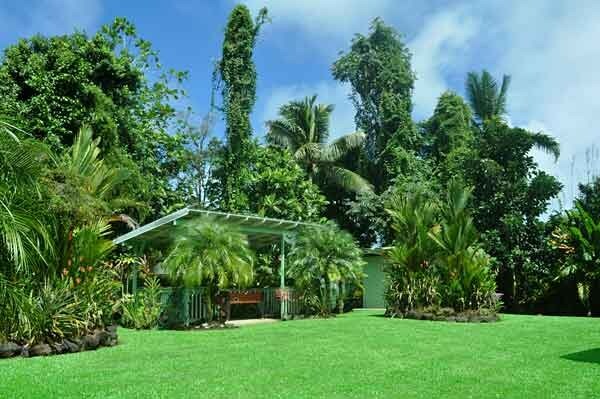 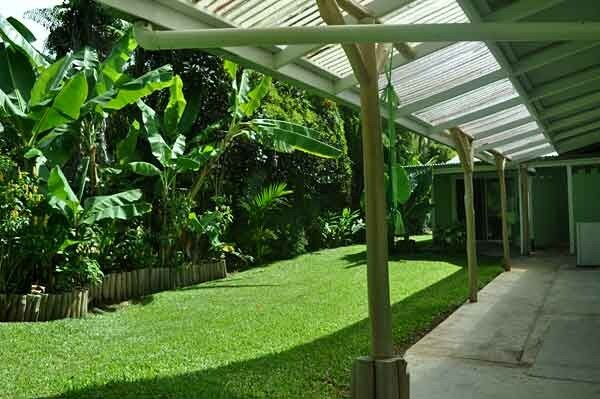 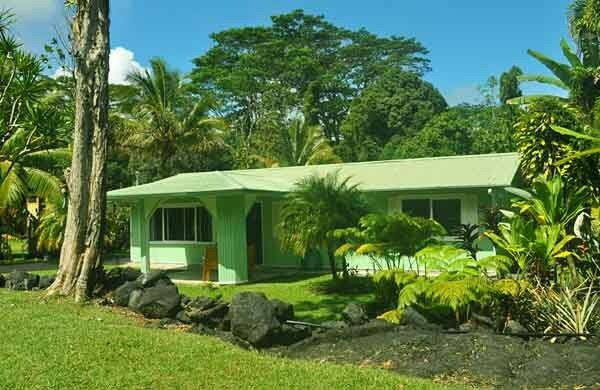 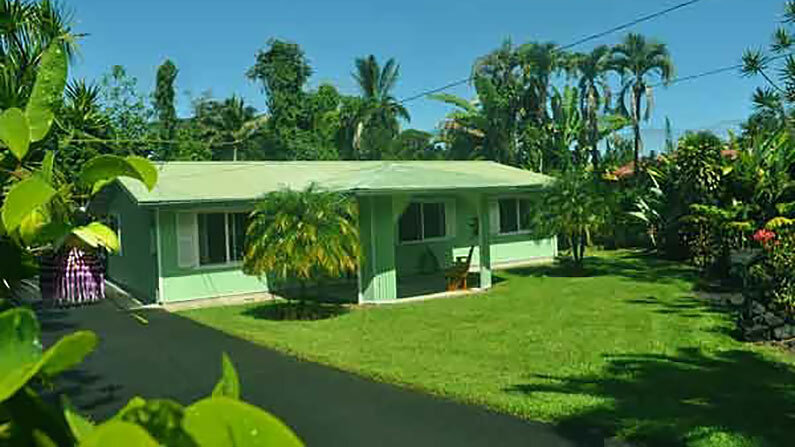 Beautifully landscaped with tropical palms, fruit trees, flowering plants, Hapu’u ferns, Ohias and more. 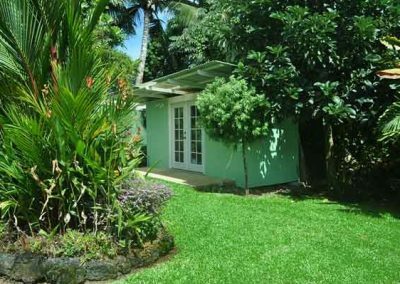 The easy to care for property has a functional storage shed in the back corner of yard along with a great garden gazebo. 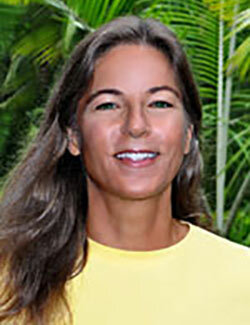 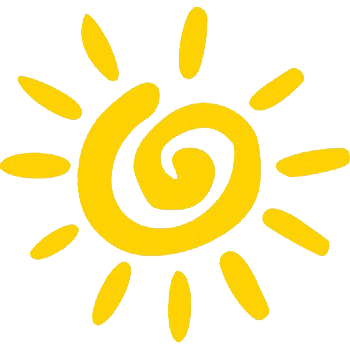 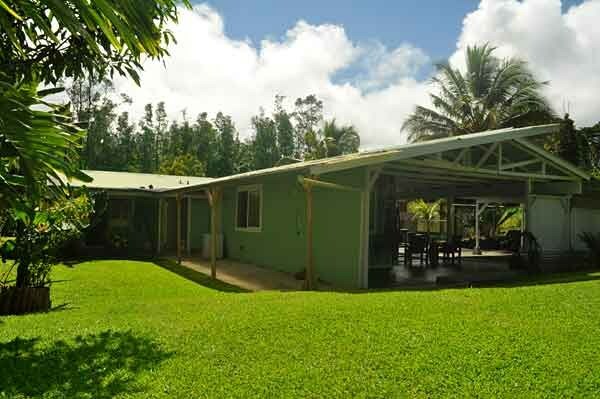 Don’t miss this opportunity to own a great home in Hawaii. 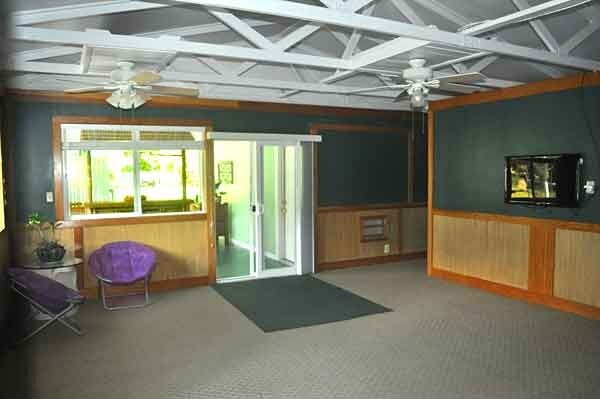 High speed internet and cable TV available here. 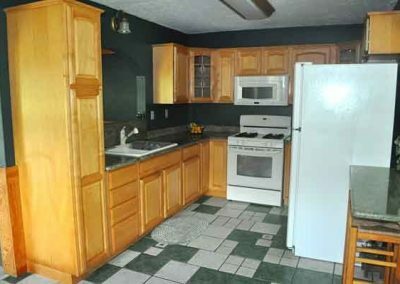 This home has an excellent location. 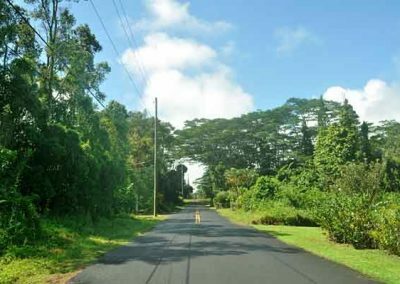 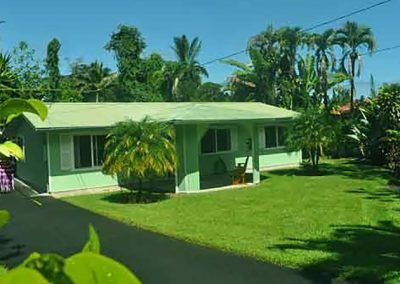 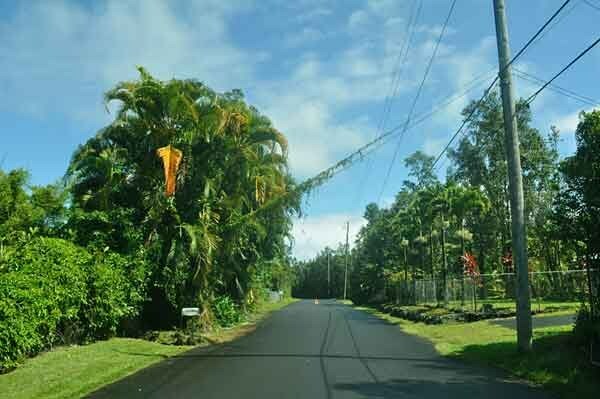 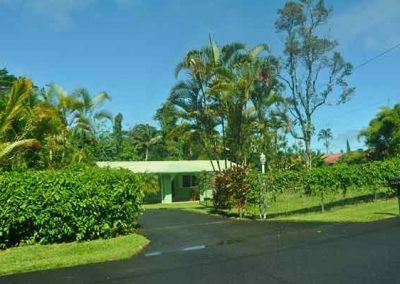 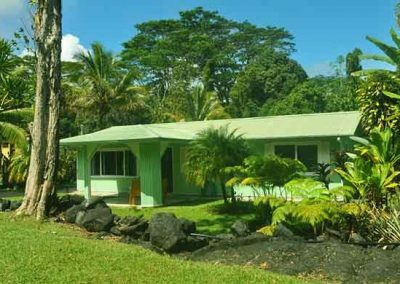 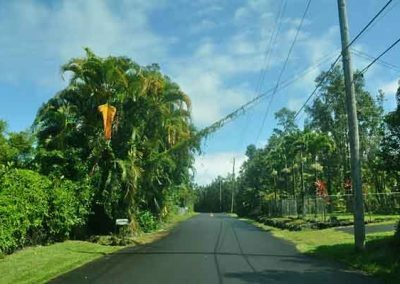 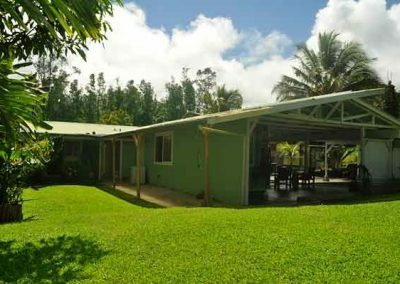 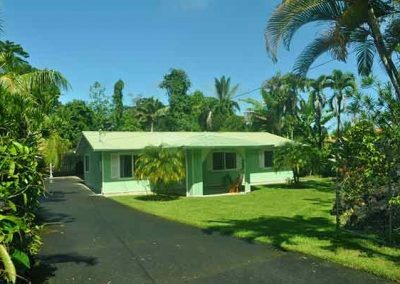 It is tucked into the Hawaiian Shores Subdivision allowing for a short 10 minute drive to Pahoa Town and all its conveniences or a 5 minute drive to the ocean where you can enjoy the beautiful blue Pacific Ocean.